I have been having a ton of fun re-making my basic photo tutorials into easier-to-read, easier-to-use tutorials for Handmaker's Factory. Not only has it given me something much more usable (yes, I refer to my own tutorials all the time! ), but it's also allowed me to experiment with some new looks and layouts for the blog. The new tutorial in its new format can be found here. 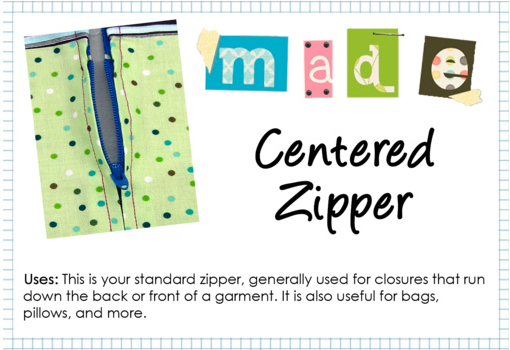 And I'll be exploring more zippers over the next few months!